Access to music is a human right. Diversity in every part of the music world – genre, creator, education, venue, audience, funding, size and structure of organisations – is the oxygen of a thriving music scene, the key to a varied, innovative sector that resonates with everyone. As a powerful driver of personal and societal growth, music can play an important role in society for identity, inclusion and the furthering of all democratic principles. Technology has made a huge impact on every part of the music sector, and has the capacity to serve it further in new and unexplored ways. The circulation of ideas, skills, persons, works and products is at the heart of a strong music sector. Professionals and non-professionals alike deserve recognition for their contribution to the music sector and society at large. Greater cooperation on all levels – across borders, between peers and with other artistic, social and commercial sectors – brings immense benefits not just to those working in the music sector, but to all members of society. Dissemination is the process of getting artistic creations out to audiences. It is a key element in the promotion of cultural diversity. Accurate, standardised data collection on European music will bring the music sector a clearer picture of itself and allow it to grow more efficiently. 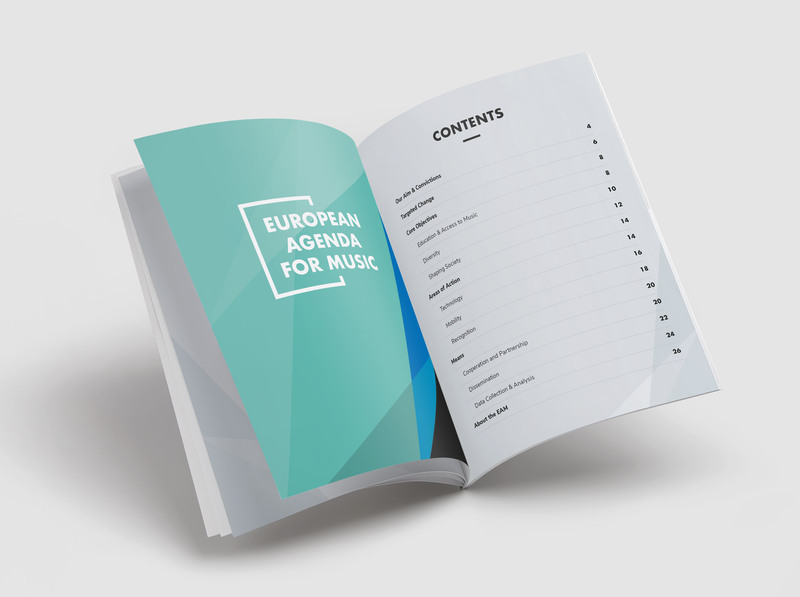 Download the European Agenda for Music as pdf-document in other languages. More to follow soon.